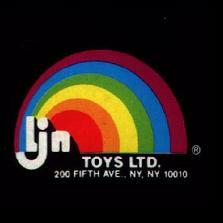 LJN was a company who published video games for the Nintendo Entertainment System. Aside from introducing the concept of surfing gorillas to the industry, the company was mostly known for slapping together hastily-produced games that tied in with movie properties. Due to the popularity of their licenses, every child of the NES era probably owned an LJN game at some point; many probably even begged their parents for one as if the game was goddamn Super Mario Bros. 4. Because of the high-profile and low-quality nature of their products, LJN has become a very popular target for gaming-themed internet humorists like Seanbaby and the Angry Video Game Nerd. The company has pretty much become the go-to reference point for crappy old-school gaming. But I am here to make a confession: I loved these games. How Much Wii Can You Take?